Find a qualified ride operator. Flights for couples or groups. The BFA's Professional Ride Operator's Division (PRO) has members who have agreed to a strict set of guidelines that promote safety, professionalism, and courtesy. 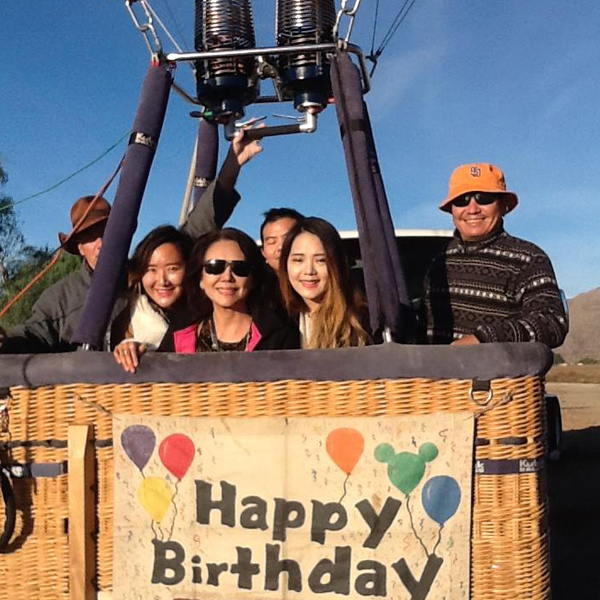 Any member balloon ride company must have a reputation of integrity, honesty and trustworthiness. That strong ethical reputation is a vital asset. Each member shares a personal responsibility to protect, to preserve and to enhance it. Owners, pilots, and crew will keep uppermost in their minds that the safety, comfort, and well-being of the passengers who entrust their lives to them are their first and greatest responsibility. You should dress as if out for a walk, in clothing made from natural fibers when taking a flight. Shoes or boots should be flat - no high heels. Tall passengers may find a cotton cap useful protection from the radiant heat of the burners above. Dress in layers on cool days. Balloons don't generally fly high enough for a large temperature drop. Balloons fly just after dawn or a few hours before sunset when conditions are likely to be best. Balloons fly with the wind so the landing site and exact flight duration cannot be guaranteed. Balloons need certain weather conditions to fly safely so it is not unusual for your flight to be cancelled and rearranged a few times. However about 80 thousand people fly each year so please be a little patient. Make sure you are on time to the launch site. Remember the pilot is in charge of the aircraft. The pilot's number one job is to keep you and the other passengers safe. Listen carefully to the passenger safety briefing from the pilot. You will need to be able to stand up for at least an hour. Pregnant women and people who have had recent surgeries need to clear that with the pilot in advance. You will find all Pro Operators are very well informed and eager to answers any questions or concerns you may have. All PRO Operator's safety records reflect impeccable piloting and decision making. #1.) Are you a member of the BFA/PRO? The Professional Ride Operators (PRO) is a division of the Balloon Federation of America (BFA). PRO is an organization whose sole goal is to ensure safety, reliability, and accountability throughout the balloon ride industry. 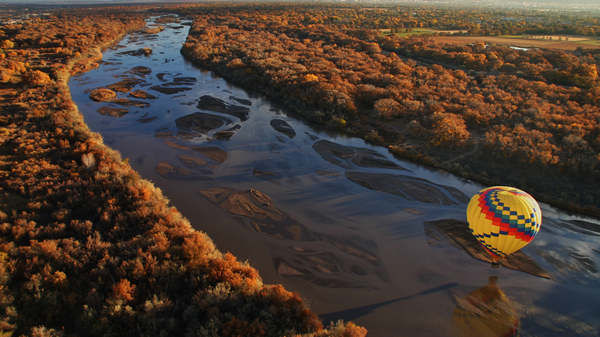 Operators who carry a PRO certification have agreed to operate their balloon ride companies under standards that exceed those set forth by the Federal Aviation Administration (FAA). #2.) How long have you been operating/flying in the area? Pilots that know the area well will know the best launch and landing sites, and will have a good understanding of the local weather. #3.) Do you have a commercial pilot FAA certificate? In order to take paying passengers, the pilot is required to have additional training and testing to earn the Commercial rating from the Federal Aviation Administration. Private rated pilots are not allowed to fly paying passengers. #4.) What Insurance coverage does your company carry and is is current? PRO pilots are required to have a current insurance policy in place. Ask to see a certificate if you are concerned. #5.) What is your safety record/accident history? PRO members excercise the upmost in safety procedures. Continuing education training, practicing emergency procedures, and full flight reviews every other year are required for PRO membership. #6.) Will you be flying our ride, or are you just a booking agency? It is CRITICAL for you to know if you are dealing with the persons who will be flying you, or some far away booking company. When possible, work directly with the company that will be flying the balloon. 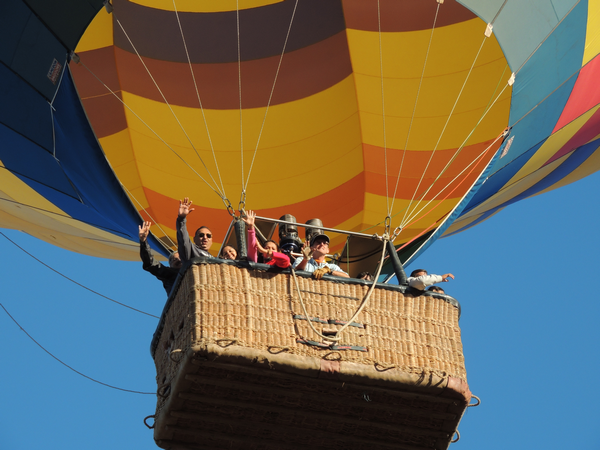 *Be sure you choose a reputable hot air balloon ride company with proven safety record. It is important to keep in mind when researching the company's experience to look at the number of reviews and ratings as well as the quality of the scores. Along with PRO there are many other review sites that can be great resources, such as:Trip Advisor, Google, Facebook, Instagram, Twitter, Better Business Bureau, Local Federal Aviation Administration Office, and the Local Convention Visitor Bureau and Chamber of Commerce. If you need help finding a reputable operator in your area, please feel free to contact any of the BFA-PRO operators. We are happy to refer you to a reputable operator near you.